mm inch Art No. mm inch Art No. Use the correct rotation speed (RPM). The correct speed for each size is given in the table. 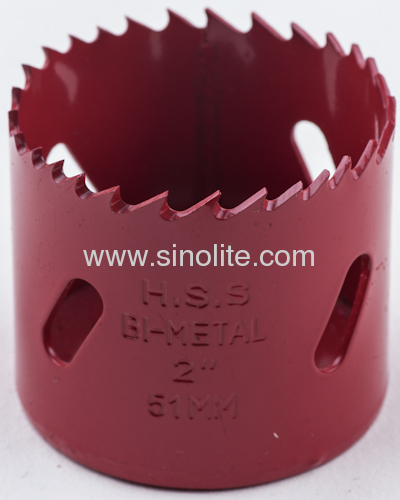 Use pin-type arbors for hole saws larger than Dia.32mm. When mounting, Lift up the disc with the pins and then screw the arbor down into the hole saw as far as it will go. Fit the drive pins into the pin holes in the hole saw by turning the hole saw backwards. Push the pins in. Check that they are securely locked. Check regularly to make sure the drive pins are in the right position. 3.Check that the arbor shank is securely inserted in the chuck on the drive unit. Tighten with chuck key. 4. Cutting oil should be used when sawing steel. Do not use cutting oil when sawing cast iron. The cutting pressure should, however, be high so that each tooth cuts deep. Paraffin can be used when sawing aluminum. 5. Use the correct rotation speed! Too high or too low speed will decrease the life of the cutting edge. 6. 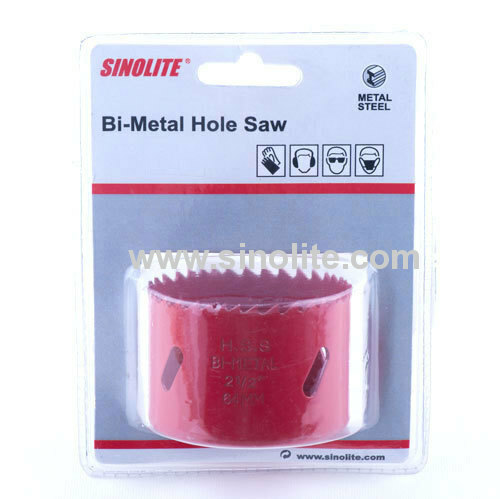 Apply the hole saw perpendicular to the workpiece. 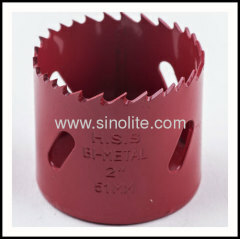 If the hole saw vibrates during sawing, the teeth may became damaged and break. The result is often a rough, imperfect hole. 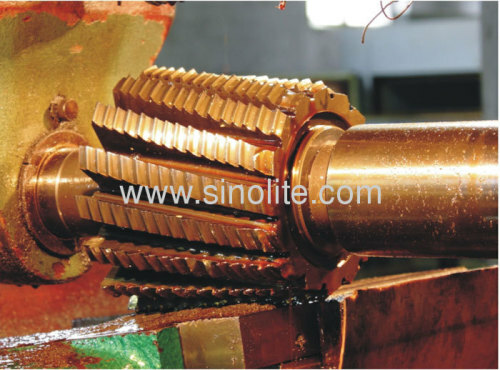 In an age dominated by mechanical , metallic material is the best material manufacturing machinery , and machinery used at the time , often using some drilling requirements , but it is necessary to use the bi-metal hole saws , and the use of it can achieve a good punch requirements, but also allows to achieve greatly improved the quality of the holes . 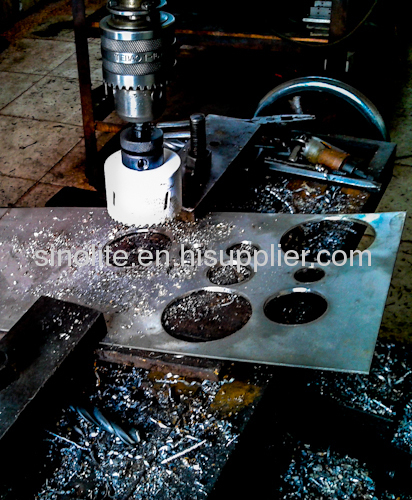 We also know that when the machinery in manufacturing , it is inseparable from the assembly, and when it is assembled , it is necessary to use the punch , and any one of the assembly , but also have to use to punch , hit a hole only in order to better use the screws and some other parts , bi-metal hole saws visible played a big role. It is also because it has a great role in use, so quality is very important, but manufacturers are now producing such products , there are many , of course, different manufacturers produced products often use materials, technology , etc., is different , and only the qualified factories produced products in order to achieve reliable use . We normally use HSS Bi-metal M3 for normal hole saws for general purpose, and use HSS Bi-metal M42 for special cutting like stainless steel etc.